September is almost here, and that means you and other New Hampshire students will be headed back to school. 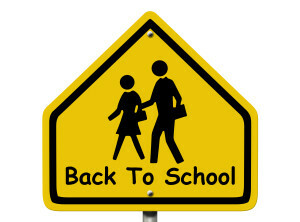 Most schoolchildren take the school bus or are brought to school in their parent’s cars. While this is convenient, there are other healthier and environmentally friendlier ways of going to school, either by walking or biking. Biking is a fun and healthy transportation method, and is also faster than walking. Books can be place on an attached bike’s basket so you spare yourself the burden of having to carry them on your shoulder, arms, or back. And you feel a sense of independence in being able to budget your time and getting to and from school without having to ask your parents to drive you. Biking is more flexible than driving a car as you can easily cut across parks or greenbelts without having to wait for streetlights or people to cross on pedestrian lanes. Many New Hampshire students go to school on bikes. The streets of New Hampshire are generally bicycle-friendly, and you’d often find another classmate or two who prefer to head to school on two wheels. Like other states, New Hampshire has its own regulations about bike riding. Most schools have designated walkways and usually bike lanes in place to protect pedestrians and bicyclists to avoid accidents. Confirm if bikes are allowed at school. Also know where the designated bike parking areas are. Wear a properly fitted bike helmet. If you’re under 14, this is required by the state. It will also protect you from serious head injury in case of an accident. Make sure you can handle your bike easily. The handlebars should be light enough, and you shouldn’t have to struggle with the pedals. More importantly, your brakes should respond immediately if needed. Before riding your bike, check the brakes, tires, and chain. Do not ride your bike if you detect any problems on any of these parts. Avoid carrying very heavy loads on your bike as these can weigh you down and make biking stressful. If you need to bring a lot of things during some school days (like a model for your project), ask your parents to take you to school. Walk your bike onto the street if it’s on a curb or pedestrian crossing. Use hand signals when you need to turn. As with other vehicles, give way to pedestrians who are crossing. Even if the light has changed to green, you should make sure that all crossing pedestrians are completely out of your path. Maintain a defensive attitude when riding your bike. Be ready to put the brakes on if something seems to be blocking your way, or if you’re not sure about the other driver’s intentions. Take only a safe route to and from school. There should be at least a few pedestrians and bikers on that route. Never go on a deserted road all by yourself. Even though crime rates are low in your state, you could still run the risk of falling accidentally from your bike especially if you missed seeing an obstacle or a huge pothole. It’s better if there are people in that area who can help you in case of a bike accident. Don’t ride your bike during heavy rain or snow. The visibility is very low and other drivers may not be able to see you. Wear protective clothing if it’s raining or snowing, like a waterproof hooded raincoat or jacket. You don’t want to catch the flu and have to miss school. Obey traffic rules to avoid accidents. Stay visible. Don’t go through dark alleys or through the woods, even though these are faster routes for getting home. Keep your bike away from the street after use, and don’t just leave it lying on the yard. Instead bring it into the garage to prevent it from getting stolen or damaged. Use your headlights on cloudy days and after dark. Lock your bike whenever you park it in order to prevent theft. Stay on the right side of the street and ride in the same direction as other vehicles. Do not attempt to overtake a fast-moving car. Don’t hold onto the rear bumpers or fenders of any vehicle. This is not only illegal but also dangerous. Ride with a sibling or friend. Remember that there’s safety in numbers. The NH Injury Attorneys at Tenn And Tenn, PA have been helping accident and injury victims for more than 20 years. We have recovered millions of dollars for people injured due to another persons careless or negligence. If you or a loved one have been injured on your bicycle through no fault of your own, contact us today. We are here to help.